State Rep. Jessyn Farrell, D-Seattle, announces her bid for Seattle mayor, joining a growing field of candidates seeking to replace incumbent Ed Murray. 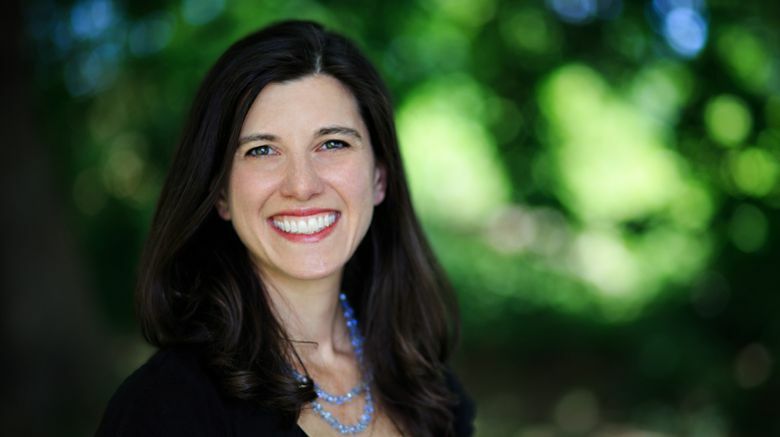 Jessyn Farrell, a Democrat who represents northeast Seattle in the state House of Representatives, announced Friday she is in the running to become Seattle’s next mayor. Elected to the Legislature in 2012, Farrell is the former executive director of the advocacy group Transportation Choices Coalition. From a Wallingford sidewalk, Farrell, an attorney, said she is willing to step out of a comfortable role in the Legislature because of changing times, the Trump administration and “huge issues” facing Seattle. “Whether it’s the number of people that we see on the streets that do not have a place to sleep every night, whether it’s around growing income inequality, I have the track record and skills to do it,” Farrell said. With her husband and three kids in tow, Farrell also stressed that she’s a working mom and advocate for dense development. Farrell grew up in the 46th Legislative District she now represents, which includes Lake Forest Park and Kenmore. She attended local public schools and graduated from the University of Washington. She was the prime sponsor of a 2017 bill passed by the House and Senate that cracks down on distracted driving. Gov. Jay Inlsee is scheduled to sign it into law next week. Former U.S. Attorney Jenny Durkan also formally announced her mayoral campaign Friday morning. In contrast to Farrell’s low-key, streetside event, Durkan held a news conference at the Pacific Tower on Beacon Hill with supporters such as former Gov. Christine Gregoire and former King County Executive Ron Sims. Farrell and Durkan are the latest to join a crowded field of candidates after Mayor Ed Murray said Tuesday he would not seek a second term after he was sued for alleged child sexual abuse in the 1980s. Other candidates include former Seattle mayor Mike McGinn, attorney and activist Nikkita Oliver, urban planner Cary Moon and state Sen. Bob Hasegawa. Candidates officially file next week for the election. Daniel Beekman: 206-464-2164 or dbeekman@seattletimes.com; on Twitter @dbeekman. Seattle Times staff reporter Daniel Beekman covers Seattle city government and local politics.